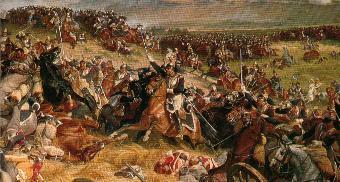 The French army of the Napoleonic Wars was undoubtedly the best in Europe. Well-led and highly motivated, their reputation alone was sufficient to demoralise many of their opponents. None other than the Duke of Wellington commented that "I suspect, all continental armies were more than half-beaten before the battle began". Even today, the mere thought of a French assault continues to fire the imagination. The relentless pounding by the Grand battery; massed attacks by infantry column; the magnificent, but deadly sight of a charge by the Reserve Cavalry; and last but not least, the determined and unstoppable advance of the Imperial Guard.